As the running community is well aware, it's fall marathon season. Those of us training for the Philadelphia Marathon on November 19th, or various other 26.2 mile races, are already cranking out long runs every weekend. This year, after a two-year hiatus, I am returning to marathon training -- this time for the Rehoboth Beach Seashore Marathon on December 2nd. 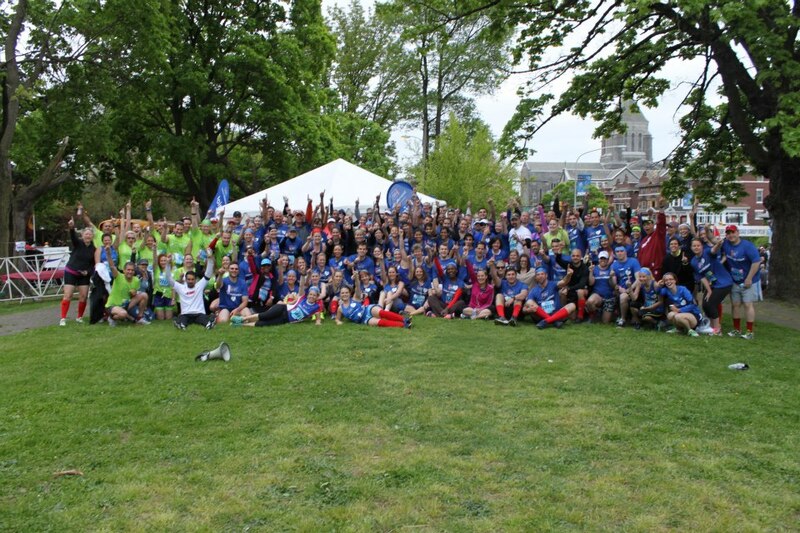 And once again, I am training with the help of my running team, American Cancer Society DetermiNation Philadelphia. This is the story of why I run with DetermiNation, and how "DNation" helped me through my first two marathons. My story starts in March of 2012 when my best friend and best man Chris passed away from Melanoma at the age of 29. At that time, I wasn’t a runner — I considered myself scrawny and unathletic, and I hadn’t run since middle school (with the exception of one or two 5ks in my 20s that I hadn’t trained for). For some reason, losing Chris made me want to run again — I think it had something to do with the fact that I was still here and could run. I think I did a 5k and a 10k in the fall of 2012 but my training was modest — I did a few weekend runs and then went out on race day and gutted it out. I didn’t have a group of friends who ran or a team to help keep me accountable or to teach me how to prepare for a race. That changed in 2013. I decided at some point during the winter of 2012-2013 that I wanted to take on the Broad Street Run. However, when I went to sign up I saw that there was a lottery. I had already made up my mind that I was taking on Broad Street, so I didn’t want to leave anything to chance. Fortunately, I noticed that American Cancer Society had a team called DetermiNation that allowed you to fundraise $500 or more in exchange for guaranteed entry. Plus, I would be fighting cancer in memory of Chris. I joined immediately. Fast forwarding a few years: after multiple PRs on Broad Street and several half-marathons with the DNation team, I decided to tackle the marathon. My first "full" was the New Jersey Marathon in March of 2015. To make a long story short, it did not go well. I walked a lot late in the race, a new experience for me. I did manage to run across the finish line, and at least I wasn't injured. But after that day, I was on the hunt for redemption. The first thing I did was sign up for coaching with Matt DiCarlo of Cadence Cycling and Multisport. Cadence partners with DNation for coaching and events, and Matt had also coached one of my closest friends, DNation co-chair Roy “Attitude of Gratitude." 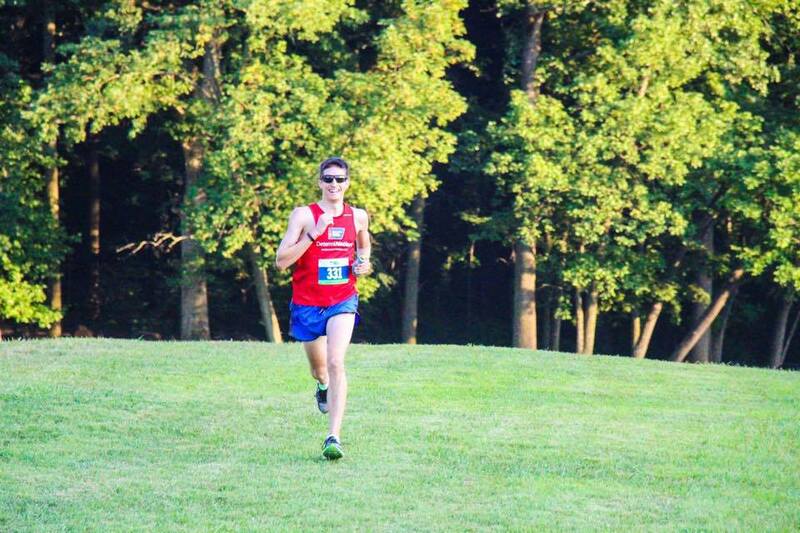 I chose the 2015 Philadelphia Marathon for my redemption race. Race day that fall started out great. I had a stronger training base, and the weather was cooler. I raced the first half as planned. Our other DNation co-chair, Ashley, captured a picture of me the DetermiNation Mile 12 cheer station, waiving and flashing a goofy smile. I knew the back half would be tough, but I was still holding onto my goal pace through 16 miles. Around 16 or 17, Matt ran down from Manayunk to run alongside me and encourage me. It was perfect timing, as I was starting to struggle as I crossed the Falls Bridge for a short detour on MLK drive (the race organizers have since edited out that part of the course). Through Manayunk, I was losing steam, but still running. Matt got me to about mile 22 before leaving to meet up with another athlete running in the race. I was able to keep running because I knew that DetermiNation had another cheer station set up around mile 23 and my friends would be there. What I didn’t know is that they would run with me. First, our head coach at the time, Chad, joined me somewhere between mile 22 and 23. Around this time, my memory starts getting a little hazy. What I do know, for certain, is that during part of the time Chad and I were running together I was still running about a minute per mile slower than my goal pace, but holding steady. At some point after that, I was joined by fellow DetermiNators Emily and Rachel. Emily had made her way from the 12-mile cheer zone to the back part of the race. I was slowly fading but I didn’t want any of them to know the extent of it, so I kept pushing. To give you an idea of my mental state, I later forgot that Rachel had ran with me! We still laugh about this today. I had to piece together the rest of the race using GPS data and pictures. I know that, with just about one mile left, I was by myself again, but I was still holding the same pace, even a bit faster at moments. I’m guessing I was sensing the finish line as I passed Boathouse Row. Then the wheels started to fall off. Between 25.5 and 26, I was getting slower and slower. Just after mile 26, my legs gave out from under me and I was on the ground. I remember not wanting to stop, but I couldn't get up, so I crawled a few paces. Then an amazing thing happened. Two guys (were they runners? volunteers?) came alongside me and picked me up. Somehow I started moving, and actually started to run again. I know this mostly from looking at pictures and video from the finish line. There were finish line videos available for purchase that year for $5. My video shows me coming around the last turn, with actually some semblance of running form. But my sunglasses, and my right glove, had disappeared. I have no recollection of why or how. My headphones had fallen out and were hanging out of my shirt, swinging from side to side just above my knees. I remember wanting to turn my music back on but being unable to do so because my hands were numb. Of course, both my knees were scraped too. As I approached the finish line, several things happened in quick succession. First of all, the police motorcade crossed the finish line while Mayor Nutter thanked the first responders over the PA system. What a cool moment to be finishing a race! Of course, I have no recollection of this — just a hazy memory that this was, in fact, the end and I could finally stop running. Then, as I got about 5 yards from the finish, Mayor Nutter raised his hand to give me a high five. I didn't reciprocate — instead I started slowing down just before the finish. As I did, I started to awkwardly waddle, as if my legs were about to give out again (my finish line pictures do not resemble running photos at all). When it became clear to the Mayor that I was not going to high-five him (in fact, I don’t think I even realized he was there), he lowered his hand, pointed directly at me, and yelled “MEDIC!” I stumbled to the barrier gate at the left of the finish line, almost cutting off another runner who had just finished. I avoided another fall by bracing myself on the gate. It didn’t take long for a volunteer in an orange jacket to come right up to me and ask if I was okay. I probably said I was fine, but I’m sure he didn’t believe me. I think he gave me some warm broth and told me his name. I tried to remember it — I think it was Jason. He didn’t let me leave and accompanied me to the medical tent. I was still in a haze, but as I started eating and drinking I slowly started to feel better. After maybe 30-40 minutes, I limped to our DNation post-race tent to rejoin my team, continue warming up (I think my core temperature had dropped) and start piecing together what had happened. As it turns out, I accomplished a 32 minute marathon PR! It was a much better race than my first marathon, and a much better story. I have some great mementos from that race — my race bib that was chewed up by my cat a week after the race, the wonderful liberty bell medal that really rings (it reminds me of the bell from the Polar Express — it will ring as long as you believe), my medical tent bracelet, my toenail that fell off several months later, and a printout of my GPS pace data that my daughter (4 at the time) colored for me. A few months later, a photographer who I never met shared a black and white picture that she had taken, showing me bent over in the finish chute, gripping the barrier. You can see my DetermiNation race shirt. It wasn't a perfect race, but it's one I’m proud of. I think the reason my results were better was the support of my coach, my DNation teammates, and random strangers that I’d never met before in my life (and haven't been able to track down to thank). Being on home turf didn’t hurt either. After Philly 2015, I had a few injuries and started biking and swimming during my recovery, leading to a new hobby -- triathlons. But I still have "unfinished business" with the marathon. I can't wait to get back out there this fall and make a new story. I know that no matter what happens on race day, my team will be there to support me. Team DetermiNation still has bibs for the 2017 Philadelphia Marathon & Half Marathon. 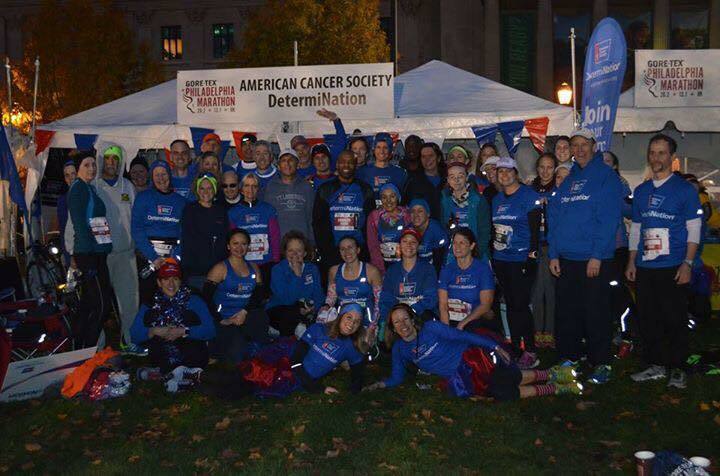 Help American Cancer Society DetermiNation Philadelphia run over cancer! Join the Philadelphia Marathon team and you’ll get benefits including a race day amenities tent, private bib pickup and bag check, and more! Your fundraising dollars help local cancer patients with free rides to treatment, free places to stay when treatment is far from home, and access to 24/7 information and assistance. You can join DetermiNation even if you have already registered for the races on your own! Click HERE for more information.